The Buddha-shaped boss of the Chicago Cardinals professional football club raised his voice far above its usual mumble, banged a heavy fist on his desk and announced his opinion of the owner of the rival Chicago Bears. George Halas, said Walter Wolfner, is an asterisk, a semicolon, an exclamation mark and an ampersand. The wallpaper began to peel in Wolfner's office, as it always does when he talks about Halas. "I refuse to mention that man's name ever again!" Wolfner went on, then mentioned "that man's name" again and again. It was a stirring, definitive display of dislike. Nine blocks to the north, in the back room of the George Halas Co. ("Sporting Goods, Wholesale, Retail"), the object of Walter Wolfner's disaffection said simply: "Wolfner? He's a real lovable specimen, isn't he?" The discerning reader will observe the feathery touch of irony in the Halas remark. And students of human behavior will sense immediately that some terrible battle has taken place between these two old war horses, and that Wolfner has lost and Halas has won. And the reader will be right. The Cardinals, 8,000 pounds of powerful young manhood, are moving to St. Louis, leaving a clear field in Chicago for Halas and the Bears. For 10 years Walter Wolfner has twisted and squirmed and kicked and wrestled to avoid being forced out of Chicago. In that period Wolfner and his wife, Violet, majority owner of the Cardinals, have lost something like $1 million on their team. But no matter. They had won the more important battle. They had not given in to Halas. 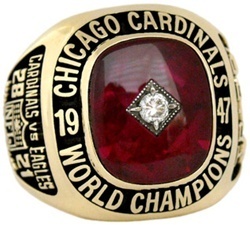 Money was little or no object; the Cardinals were kind of a hobby with the millionaire Wolfners. But not even millionaires want to throw away money forever. As Wolfner said in a calmer moment last week: "It just got so that we weren't having any fun here any more." Twice the Wolfners had offered Halas big money to move out of town (once, according to Wolfner, it was $500,000; another time it was $1 million). Halas turned them down. The fact that Wolfner has every chance to strike pay dirt in the new location seems of little or no importance to him. A football-starved city is already trying to gobble up season tickets. Joe Griesedieck, president of the Falstaff Brewing Co. and a crackerjack TV sports entrepreneur on his own, shelled out $250,000 for a 10% interest in the Cardinals (leaving Mrs. Wolfner with 84.6%), promised a $50,000 bonus if the Cards made the move and guaranteed the sale of 25,000 season tickets. Gussie Busch, Griesedieck's beer rival in St. Louis who nevertheless is mindful of his civic responsibilities, is renting his baseball park to the football Cardinals for an undisclosed sum which insiders label ridiculously low. And in three years a new river-front stadium seating 55,000 will be ready. Back in Chicago Halas will have things all to himself, which is what he has been fighting for all along. No longer will he be barred from televising the Bears' out-of-town games into Chicago because the Cardinals are playing in town that day. The measure of what it is worth to Halas to have the Cardinals leave is the fact that he is putting up almost all of a $500,000 "moving expense" payment from the league to the Cardinals. The league, for its part, has been eager to get the Cardinals into another city because in recent years the poor gates at Comiskey Park have cost every visiting team money. Visitors have had to content themselves with the routine $20,000 guarantee instead of 40% of a fat gate. This year the guarantee will be $30,000. So everybody should be happy now—the Cardinals, the Bears, the National Football League and the fans. As befits a winner, Halas isn't saying much. He sits behind his desk on honky-tonky W. Madison Street in Chicago and wears a look of inscrutability. "Let Wolfner do the talking," he says, and Wolfner obliges. There has been bad blood between the clans ever since 1947. Before then, when Chicago Sportsman-Gambler Charlie Bidwill and his wife Violet owned the Cardinals, all was sweetness and light. Bidwill and Halas were close friends; more than once Cardinal Owner Bidwill lent money to Bear Owner Halas to meet a payroll, a fact which Halas has graciously acknowledged. Bidwill's interest was based not only on friendship; he owned a bloc of Bears stock. When he died in 1947, the Bears stock went to his widow, who shortly after sold it back to Halas. Mrs. Bidwill later told Halas that she would let him keep $50,000 he owed her, in return for third-string Quarterback Bobby Layne. As Mrs. Bidwill, now Mrs. Wolfner, tells the story, Halas refused the trade, sent Layne instead to the New York Bulldogs for $50,000 cash and inserted in the contract a clause which barred Layne from ever playing for the Cardinals. That started the feud. When Coffee Broker Walter Wolfner married the Widow Bidwill on Sept. 28, 1949, he inherited the feud, and on him it looked natural. 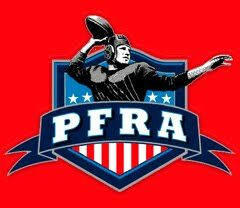 An abrasive, pugnacious man, Wolfner seems to like a fight, has picked them with the Chicago press, with his coaches, with league officials and now with the dead. He accuses the late Bert Bell of setting up the annual league schedule to hurt the Cardinals and help the Bears, of deliberately assigning anti-Cardinal officials to Cardinal games, and of helping Halas in a campaign to run the Cardinals out of town. To hear Wolfner tell it, the Cardinals' lamentable financial record is the fault of George Halas and Bert Bell. Others say it is the fault of Walter Wolfner. Says a one-time Cardinal star: "Making him managing director of the team just because he married the owner is like you should send me to manage the New York Philharmonic." Even Wolfner's staunchest admirers sometimes find themselves apologizing for his popping off. When he first stepped into the job of managing director, he made a lot of enemies in a short time. He publicly criticized his coaches and often interfered in the coach's domain. In 1952, after the Cards won three straight games, Wolfner predicted a championship, a proclamation which not only proved wrong but also put undue pressure on the coach. In those early years of Wolfner's reign, Violet made the big decisions, as she does today. But more and more she has turned over important duties to her husband, and lately he has begun to show that he is learning the trade. In defense of Wolfner, he is not entirely responsible for the fact that the Cardinals lose money. Losing money has been a Cardinal habit, not only because tough infighter George Halas has made it hard for them, but also because the Cardinals have had a sort of lackadaisical happy-go-lucky tradition in the front office. And some of this has communicated to the players and from them to the fans. 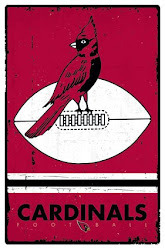 In the Bidwill era, the Cardinals were known throughout the league as a pack of hail-fellows-well-met. It was anything for a laugh, make up the plays as you go along, and don't let's take this game too seriously. Once the Cardinals were tied with the Bears 28-28 with seconds to play. They had the ball deep in Bear territory and could have won easily with a field goal. Ignoring signals from Coach Jimmy Conzelman on the sideline, the Cards went for the touchdown. The providence which also watches over drunks crossing turnpikes came through for them, and they won 35-28. Not all their zaniness worked out so well, but a good time was had by all. It was even rumored that some of the Cardinals drank a little, but only if there was time before the game. This was the flotsam-jetsam group Walter Wolfner took over. Also in Wolfner's behalf, and in the absence of any rebuttal by Halas, it must be pointed out that Bell apparently did render aid and comfort to Halas in his fight against the Wolfners; a higher court will have to judge Bell's motivations. Probably Bell felt in his heart the same as other NFL owners: that it would be good for all concerned, including the Cardinals, for the team to move to another town. 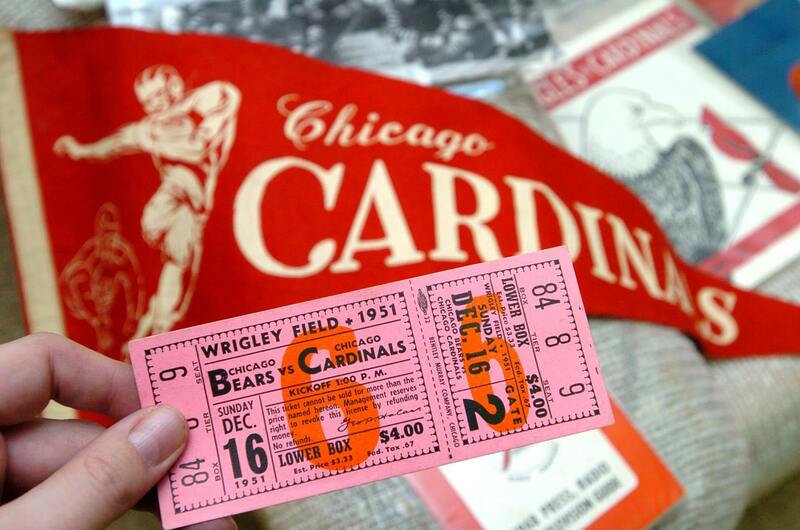 For years Bell gave the Cardinals the short end of the scheduling stick, making them open the pro season in Chicago. This meant competing with the end of the baseball season and the World Series. More than once the Cardinals found themselves scheduled to open in Comiskey Park on the same day the White Sox were playing at home. According to Wolfner, Bell would answer his complaints by saying: "Work it out the best you can." This meant one year playing the opening "home" game at Buffalo against the New York Giants and another year rescheduling the opening game to be played after the season was over. Bell's explanation for shoving these opening dates on the Cardinals was that Halas had to build special stands in Wrigley Field after the Cubs moved out, and the stands took two weeks to erect. Wolfner offered to pay for the overtime necessary to put up the stands in five days; Halas said thanks but no thanks. Wolfner even took lawyers to NFL meetings to fight against the year-after-year inequities in the scheduling. He always lost by a vote of 11 to 1. Bell also sided with Halas on another crucial case involving the Cardinals. Wolfner wanted to move the team to Northwestern University's Dyche Stadium (seating capacity 55,000) just north of Chicago, and he thought he had a deal with university officials. But Halas produced a 28-year-old agreement that the Cardinals would not play north of Madison Street and the Bears would not play-south of the street. "That agreement wasn't worth the paper it was written on," says Wolfner, "but Bell gave it the force of law by stepping in and ruling that it was valid. If we had moved to Dyche Stadium, we wouldn't be leaving Chicago now." 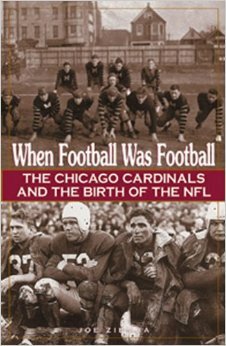 But no impartial observer can shed any tears over the Cards' departure, even though they were Chicago's first professional football team. The Cardinals bored Chicago and the Bears did not. The news of the transfer to St. Louis brought a vast ground swell of public ennui from Chicago fans. Said the Sun-Times: CARD LOSS FAILS TO JOLT CITY. Echoed the Tribune: CARDINAL MOVE NO SHOCK TO CHICAGOANS. The team had brought only two world championships to Chicago in 61 years (1925 and 1947). The Bears, on the other hand, seemed always to be in contention; even in losing seasons, they drew crowds. The shift to St. Louis, where the new team will automatically be taken to the municipal bosom, may rejuvenate the Cardinals and turn them into winners. Says the canny Halas: "Wolfner will come up smelling like a rose, you wait and see. He's what you might call a fortunate victim of circumstance." Says Coach Frank Ivy: "We will be the only pro team there and will have the support of the fans right off the bat. In this emotional game where morale means so much, this undivided interest is going to work advantageously to the point where the football Cardinals will rise to the occasion and play much better than they did in Chicago." Ivy has good reason to be optimistic. His team fumbled an extraordinary 48 times last season; yet it played far better football than its dismal (2-10) record showed. The Cardinals are young and fleet of foot, full of sass and vinegar. The spectacular long-gainer became the hallmark of the team last season; fans who attended Cardinal games could be almost certain of two things—that the Cardinals would lose and that with a full repertory of razzle-dazzle plays they would be interesting. Such a team can draw crowds in a new town. Such a team, given time and patience, can win championships. St. Louis and the unhappy Wolfners may have fat years ahead. Interesting article about the cardinals, I as a fan of this team read it with great interest. I attend all the games of this team, buy tickets here https://ticketcrab.com/mlb-tickets. Convenient and easy site for buying tickets. The big advantage for me, it discounts for regular customers.